Episode 4 is Jean’s episode, as we learn about his life during the early part of the plague. Like all of the other characters the show has explored so far, he has a dark secret that allowed him to survive at the expense of others. The events of the past resonate with current events and cause him to take drastic measures, which have a huge impact on himself and the group. Each episode title is a lesson Simone and Rasmus need to learn in order to survive in the wild post apocalypse world. So far, the lessons have been simple: Stay inside, Stay together, Avoid the city. With this episode, the titles start to address interactions with strangers, which is a more complicated situation. 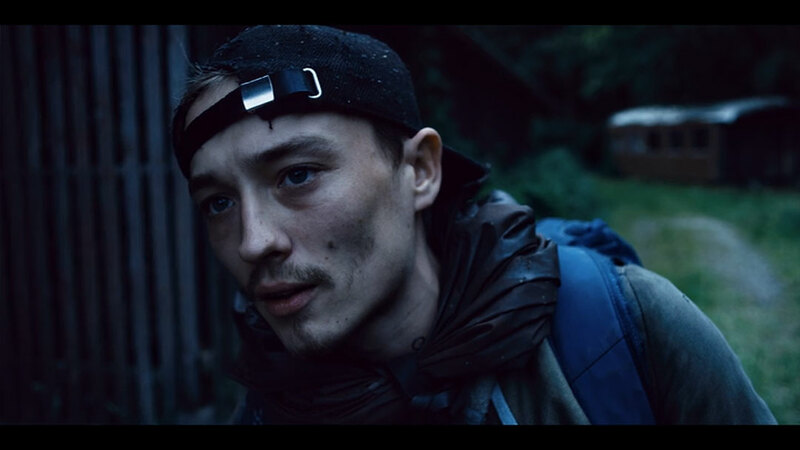 It’s probably not possible to “Trust no one” and survive, but extreme caution is a necessity Simone and Rasmus haven’t learned yet. This episode provides ample evidence of why it’s best to be careful. Lea and Jean watch the bridge, which is being regularly patrolled by the Strangers, from a high vantage point. They get frustrated that they can’t see any way to cross, and Jean stands up to get a better look. Lea pulls him down, telling him that was a stupid thing to do. Then she makes sure that he knows that he isn’t stupid, just the thing he did. She thinks he’s nice. He tells her that he isn’t sure she’s right about him. After all, she doesn’t know what he’s done. She says the past doesn’t matter. What matters is who you are now, and she knows him. He says she knows nothing. Then he remembers back to just after the plague started, when he was wandering alone and fainted in a field. Someone found him, and he asked for their help. Back in the Amager bunker, Rasmus is still doing poorly. His wound is gaping open and definitely needs stitches. He doesn’t want Simone to say anything to the others because he’s afraid they’ll get left behind. Simone convinces Martin that they need to take a side trip to the doctor. Martin is also worried about whether they can get across the Öresund bridge, since it’s heavily guarded and miles long. Beatrice flirts with Rasmus while Simone and Martin plan. Martin eventually pulls Beatrice away to ask her on a date to Idre, one of his childhood vacation spots, once the end of the world is over. Beatrice is skeptical, but says yes. Then he asks her to stop toying with Rasmus. Beatrice asks if he’s jealous, and he asks her why she’s doing this. Simone interrupts to tell them that they’ll need to find a car because Rasmus can’t walk any more. Martin says that he’ll have to walk, there’s no other way. The only working cars belong to the Strangers, so Simone is ready to steal one. Beatrice stalks out, saying Simone is crazy. Simone joins Jean and Lea on their lookout perch and they explain to her what they’ve observed of the Strangers’ patrol patterns. The Strangers patrol near the bridge entrance, trying to catch anyone who attempts to cross. Simone develops a daring plan to draw the Strangers out by using herself as bait so that they can steal one of the trucks. Jean and Lea are frightened for what might happen to Simone if the Strangers get her. Simone walks out into the open, alone, and makes sure that she’s seen by a drone. 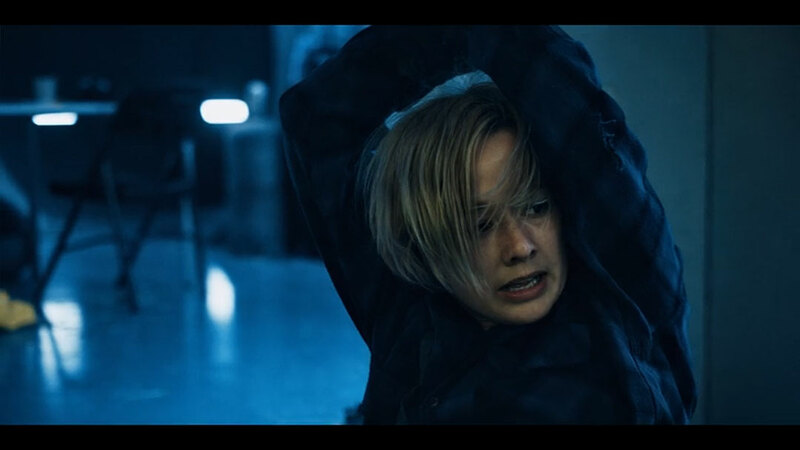 She lets it chase her into a parking garage where the survivors are hiding. The survivors ambush the drone and the Strangers who follow it to apprehend Simone. There’s an argument over whether to question the Strangers or kill them. Simone wants to question them then let them go, while Patrick wants to kill them without bothering to question them. Beatrice stays back in the bunker with Rasmus. She rebinds his wound as they flirt a little and talk about love. Beatrice wonders about Simone and Martin’s relationship. Rasmus hasn’t noticed anything, but he has no experience to compare it too. Rasmus asks Beatrice about her relationship with Martin, and she says that, “Nobody owns each other in this world.” Rasmus responds by saying that there’s still love. Beatrice thinks he’s naive. They’ve standing very close, face to face during the conversation. Beatrice’s face is right next to Rasmus. She looks at his lips at least once, but they don’t kiss. The Strangers refuse to answer any questions, either when Martin uses violence as an incentive or Simone promises they’ll be set free unharmed. Patrick wants to shoot them without questioning. Jean notices the long snake tattoo one of the strangers has on his arm and tells Martin that they have to kill the Strangers, but he won’t say why. Martin sends everyone to the vehicle, then 3 gunshots are heard. They pick up Beatrice and Rasmus, then cross the bridge without incident. Simone is still angry that Martin murdered the Strangers. Jean assures her that they deserved to die. Then he remembers back to the beginning of the plague. After he fainted, he woke up in the home of a family who took care of him. After having breakfast with them, he was set to leave, but their hearing impaired little girl, Vilde, begged him to stay, and the parents agreed. Jean had no where else to go, so he stayed with them, learning sign language and helping maintain the household. He was happy there. The survivors reach Little Bjärred, but don’t know where the doctor is. They send the Strangers’ drone up to look for people, and head toward the other heat signature. Rasmus is very ill. The doctor meets them outside with a shotgun and threats. When she sees Rasmus, she lets them in. She tells Simone that his wound would have been fatal without medical attention. Stitches have the same miraculous power to heal on this show that they have on other shows. Simone asks if the doctor has helped many people, and the doctor says that there aren’t many people left. She moves around a lot and helps when she can. Her husband and children were killed by the rain. Jean holds a small horse pendant and flashes back to his time with the family. The Strangers arrived one day. The dad went out to talk to them and sent Jean to hide with Vilde. She didn’t understand what was happening and kept trying to cry out, so Jean covered her mouth to keep her quiet, and held her still so she wouldn’t give away their position. He watched while the dad was shot and the mom was taken away by the Strangers. When Jean went to tell Vilde they were safe now, he discovered he’d accidentally smothered her to death while trying to keep her quiet. He cried with despair. Beatrice asks Martin if Rasmus will be okay, then tells him he could learn how to express his feelings from Rasmus. Martin replies that whenever he tries to express his feelings to her, she won’t listen. Touché. 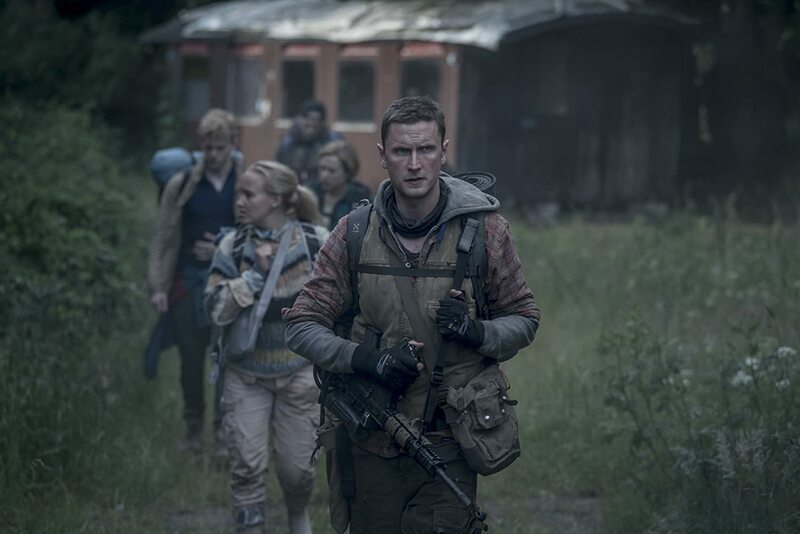 Rasmus also has no idea how to keep a group of survivors, or even himself, alive in the apocalypse. 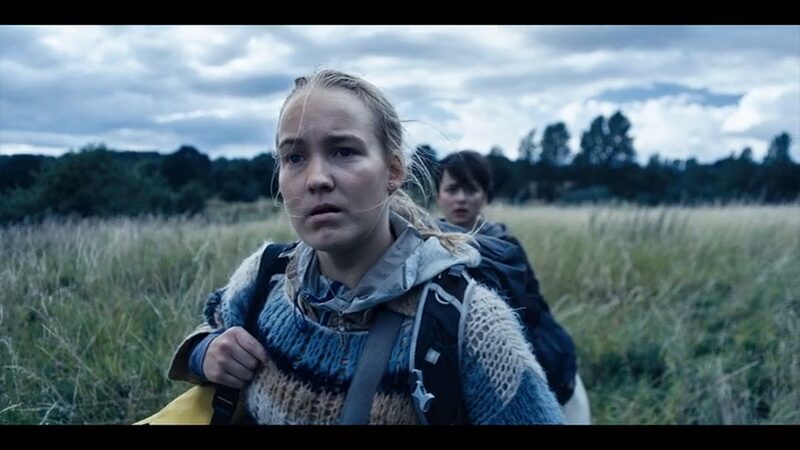 The doctor asks where Simone and Rasmus are headed next. They tell her they’re going to Norrköping find their dad, Frederick Anderson. 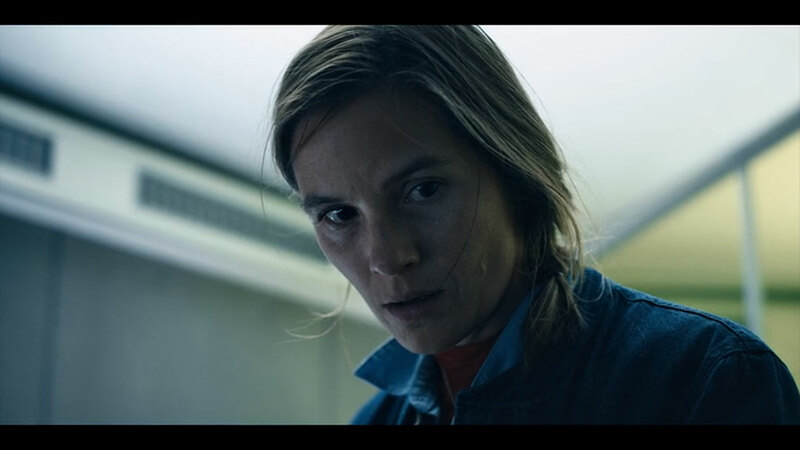 The doctor stops everything she’s doing, and suddenly says she has one more treatment for Rasmus, a tetanus shot, but it’s in another building. They happily follow her like the innocent lambs they are, suspecting nothing. As they walk by the rest of the group, Martin offers to come with them, but Simone says they’ll be fine. The doctor tells the others to have some tea. The doctor leads them to another bunker, this time surrounded by sheds and storage containers. She has access to the bunker using her palmprint: the panel reads Johansson Division 45. The doctor says she worked for Apollon. Simone becomes suspicious, because the doctor claims that she doesn’t know their dad, but Frederick worked in Division 45 from the time of its inception. Rasmus snaps at Simone to stop asking questions, because the doctor is helping them and he needs his shot. Then they’ll move on. The doctor tells them that the bunker is used by the Strangers who patrol the area. Then she straps Rasmus to the examining table in the med bay, saying it’ll help him keep still. He cooperates again. Simone keeps asking questions, and once Rasmus is strapped down, the doctor grabs her by the throat and throws her against a wall, saying, “Your father killed my children.” Rasmus can’t break free of his straps, though he does finally realize that they’re in trouble. The others become restless and decide to look around. The guys search the doctor’s house for food. The girls look for Simone and Rasmus. Martin spots Strangers arriving in another truck, including the ones that Martin said he’d shot. Jean grabs one of the doctor’s guns and runs outside. He runs right up to the Stranger with the snake tattoo and shoots him in the head point blank. Then he allows himself to be captured by the others. Martin and Patrick sneak out of the house to find Beatrice and Lea. They’ve heard the gunshot and Lea assumes Jean is dead. 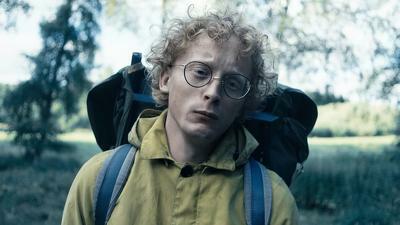 The guys push them forward toward finding Simone and Rasmus, so they can escape the Strangers. The doctor has tied Simone up. She tells Simone and Rasmus that Frederick and Sten killed her children. She says she told them that striking against nature was dangerous, and that it would strike back. But they wouldn’t listen. The doctor sets up a video feed so that their father can see what she’s doing to his children. She tells them that it will hurt, but it will be over fast. Simone won’t believe that their dad could do anything like start a plague. Simone keeps talking, telling the doctor that she knows how much her losses hurt, because their mom is dead too. The rest of the group finds the bunker, and Patrick makes the rest wait outside, deciding that he’s going to go in and handle this one decisively. 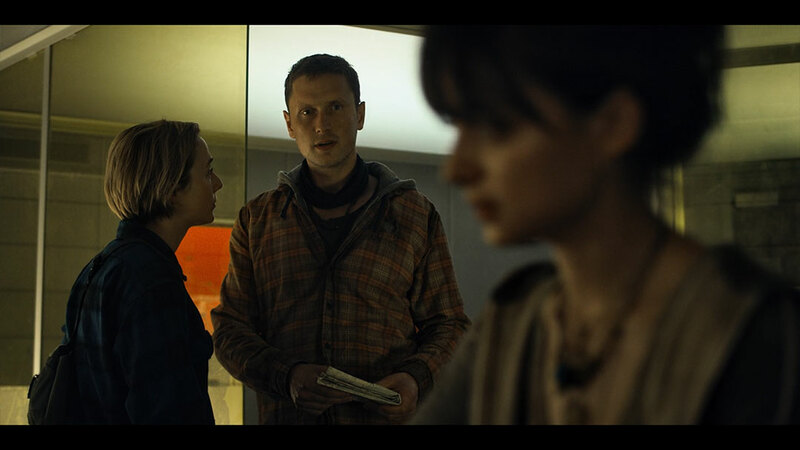 The doctor pulls the syringe of poison away from Rasmus neck when Simone talks about their mother, and looks like she might be reconsidering. At that moment, Patrick shoots her in the head and kills her. He tells them that they’re going to do it that way from now on. The group takes off on foot as fast as possible. They run through the forest until they reach some kind of camp or farm, where Martin decides they’ll stay for the night. Martin and Patrick argue over Martin’s decision not to shoot the Strangers when he had the chance in Copenhagen. Martin say he did what he thought was right, but Patrick thinks the Strangers wouldn’t have been able to send reinforcements to track them as quickly if Martin had killed them like he said he would, and then they wouldn’t have lost Jean. Patrick is sure Jean is dead, but Martin points out that they didn’t see him murdered. He could still be alive. Patrick is angry with Martin for ignoring him and their usual dynamic in favor of letting Simone influence him instead. They’ve travelled together for 6 years, and Patrick has always been loyal. Now it’s like Martin only listens to Simone. Does she own him? Martin argues that it was Patrick’s call to leave Jean behind because there were too many Strangers to fight. The loss of Jean is on him. Martin walks away and Patrick bursts into tears. That evening, it rains, and everyone mourns Jean. Lea remembers finding him after he’d buried his family and taking him with her and Beatrice. 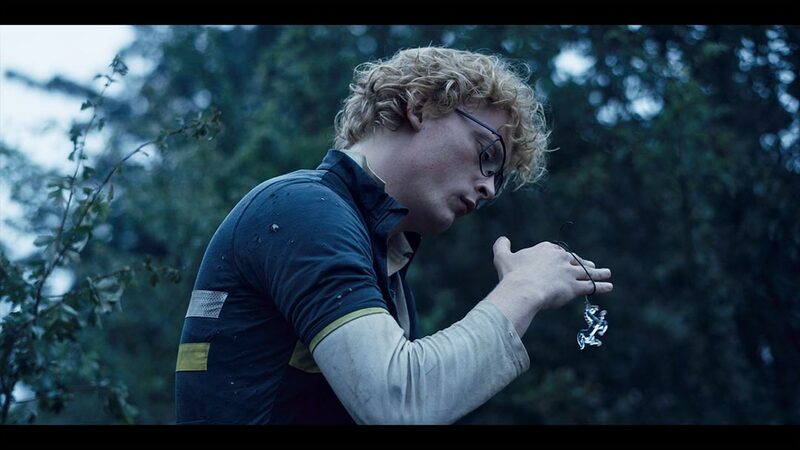 He grabbed Vilde’s little horse pendant as a way to remember her. Patrick, Beatrice and Rasmus sit with Lea to console her. Simone follows Martin outside, and tells him that he should have shot the Strangers in Copenhagen. He says, “No.” Simone takes his hand and they watch the rain together. Beatrice watches them from a hidden spot. Martin actually says they can’t push Rasmus across in a shopping cart, but I don’t see why they couldn’t. There were six of them to take turns. It’s not that different from a wheel chair. They ran fast when it was an emergency after he was stabbed, so they could do it again if they were about to be caught on the bridge. This shows a distinct lack of creative thinking on Martin’s part. On the other hand, taking Rasmus to the doctor to have his wound treated was for the best, aside from the whole “almost being assassinated as revenge for what their father did” thing. It seems definite now that Frederick and Sten are responsible for the plague. We’ve had strong hints of that from Simone’s memories of conversations between her parents, but the memories of a child who doesn’t understand what they’re hearing are difficult to trust. This is another dark secret for Simone and Rasmus to keep, along with the death of their mother. What the doctor said matches Simone’s memories exactly, and everything we know from Frederick and Sten. Frederick developed a viral cure for Rasmus’ illness, which doesn’t appear to have had any negative consequences. Then Frederick further tweaked the virus to be even more potent, and somehow set it loose in the world to fight human disease, probably as a benign water-born virus seeded into rain clouds. Once out in the world, it must have mutated into an incurable, fatal water-born disease that’s almost impossible to kill. I think it’s a tough call on whether or not Patrick was right to shoot the doctor. One thing this show is illustrating is that there are no real bad guys. Everyone has their reasons and motivations, if you look closely enough. The doctor certainly did, and Simone was starting to get through to her. The community definitely needed a doctor. But she was also so far gone that she came within seconds of killing an innocent boy who was supposed to be her patient. Was it worth the risk to keep her alive, when she was mad with grief and might kill as many people as she saved? Patrick was humanized in this episode, as he finally got the chance to do more than be murderous or bro out. We saw that he really does care about the members of the group, and feels so strongly about striking first and decisively against new people because he wants to keep everyone alive. He must also have had a bad experience with trying to get someone back, since he always chooses the conservative option of giving up on the person who’s been captured. But this episode showed us that he is ultimately trying to do what’s best to protect the group, while sacrificing members he thinks are going to get the whole team killed. I’ve been enjoying your recaps of this show. You make me chuckle. Looking forward to the continuation. I’m glad you enjoy them! The focus on each character makes it interesting to write about.